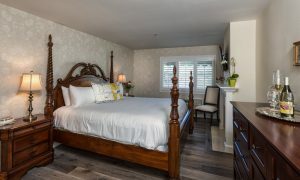 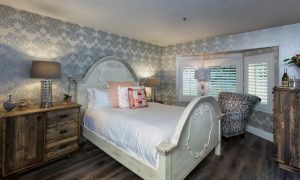 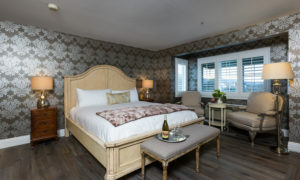 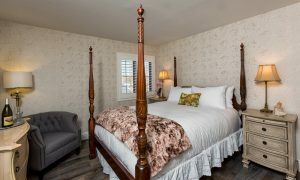 Check out Room 4 at The Mirabelle Inn! 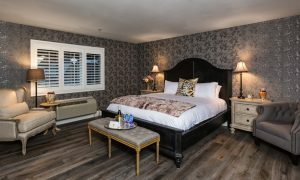 Book now for the best prices! 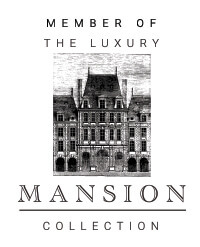 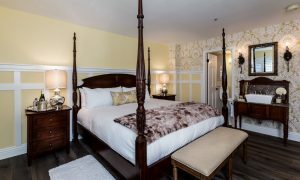 King bed, elevator accessible, second floor, claw-foot tub and walk in shower. 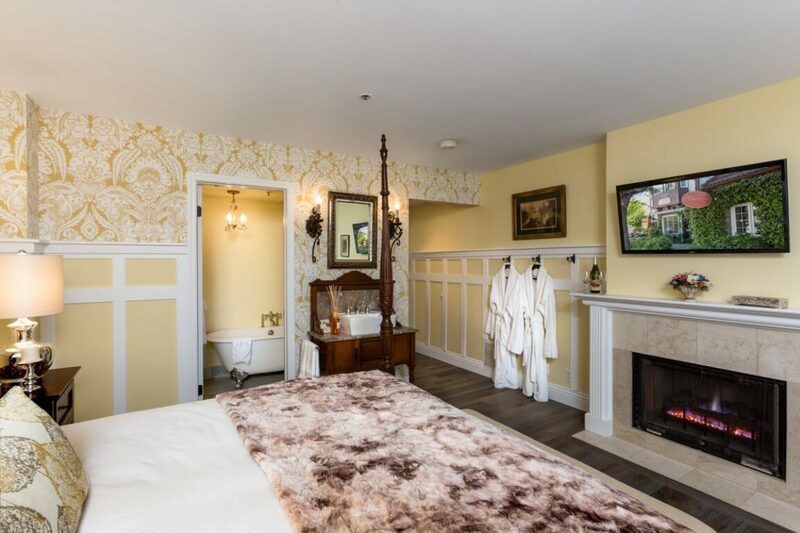 In room fireplace, antique wash station and wainscoting through out. 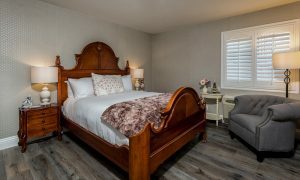 Distinctive decor and ambiance, featuring private, full bathroom, luxurious bedding, elegant antiques, 40″ Samsung Smart TV, cable. 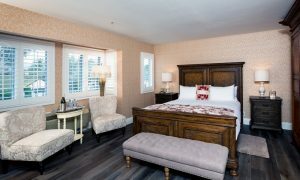 Room rates include full breakfast offered in our dining room.